Influenced by Wellesley's Unique Approach to Architecture Education, Liz Ogbu '98 Fosters Social Change by Empowering "Expert Citizens"
One of the questions Liz Ogbu '98 said she often gets when someone learns she is architect is “what kind of buildings do you design?” The answer, she said in an October TEDx Talk, is that she doesn’t. “I’m an architect who doesn’t design buildings,” Ogbu said in her TEDx talk. 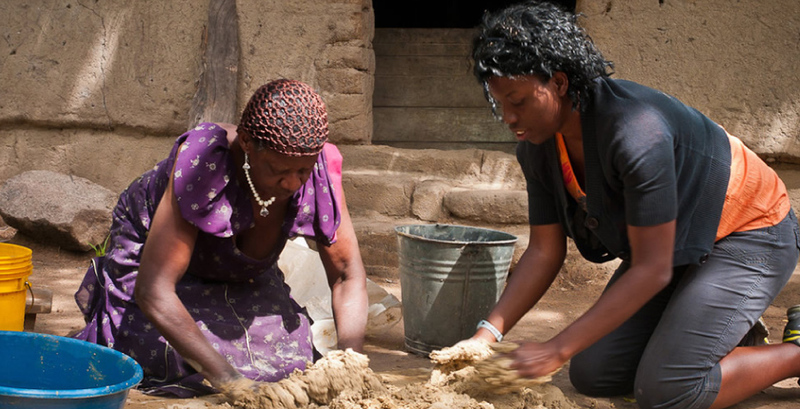 “The things that I design, the things that I build, are opportunities for impact.” Ogbu, an architect and social justice advocate, has spent the seventeen years since her graduation from Wellesley working to foster socio-sustainable change in communities across the world. Ogbu chose Wellesley because she was intrigued by the way Wellesley’s engineering program operated. “Wellesley was interesting to me because as a high school senior, I was already keenly aware of the challenges that women face in what has previously been a male dominated profession,” Ogbu said in an email. Ogbu said her time at Wellesley was shaped by her experience on the basketball team and her work in the architecture program, the latter allowed her to fulfill the arts component of the major on-campus while taking architecture courses at MIT. Ogbu praised the program’s “choose your own adventure” approach to learning. After her graduation from Wellesley, Ogbu spent a year travelling through sub-Saharan Africa on a Thomas J. Watson Fellowship before enrolling in a Masters program in architecture and design at Harvard University. Ogbu has since served as Design Director for Public Architecture, as an Innovator in Residence at IDEO, and as a lecturer at College of Environmental Design at the University of California, Berkeley. Additionally, she is a member of the faculty at Stanford University and sits on the Board of Directors of the Satellite Affordable Housing Associates. She told the TEDx talk audience that her work begins on the community level. She stresses interaction with “citizen experts,” which she defined her talk as an individual who has “the experience of living or working in a specific community,” as a key element of her design strategies.